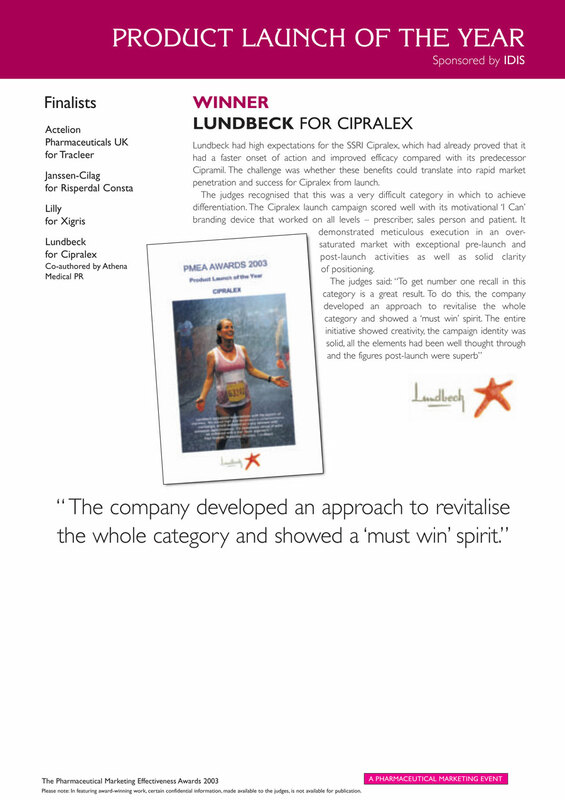 Andy managed the marketing teams behind driving Cipramil from its modest beginnings to market leadership, and securing for Cipralex the UK’s most successful antidepressant launch. 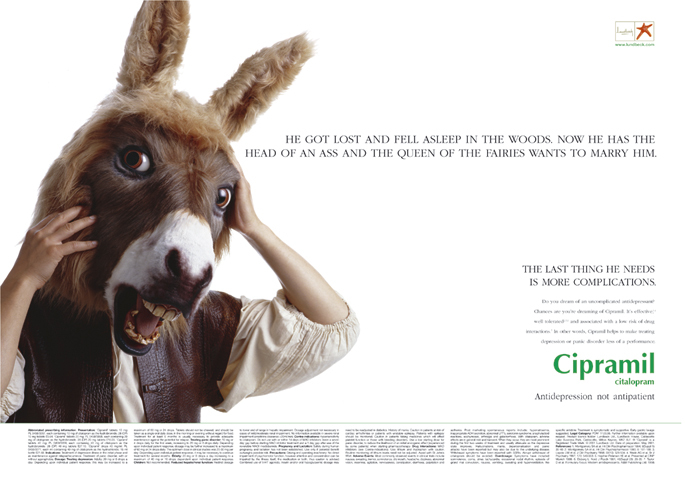 Andy’s personal favourites among the brand campaigns he has worked on as ‘client’ are shown here; click on the image galleries to take a closer look. 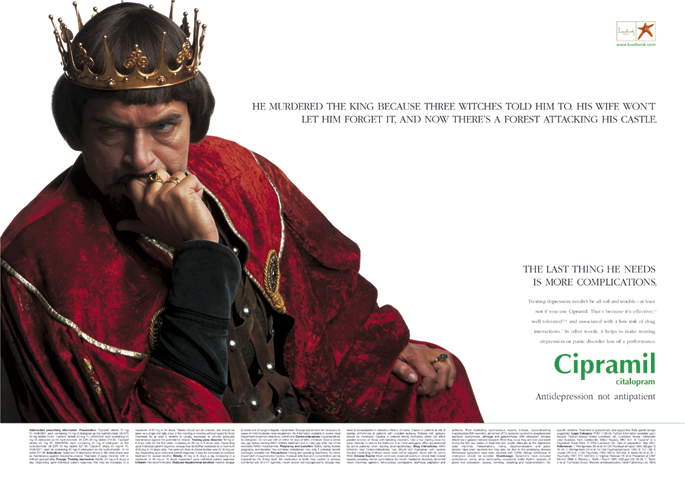 To learn more about the evolution of the ‘Shakespeare campaign’, take a look at Andy’s Pharmafocus article. 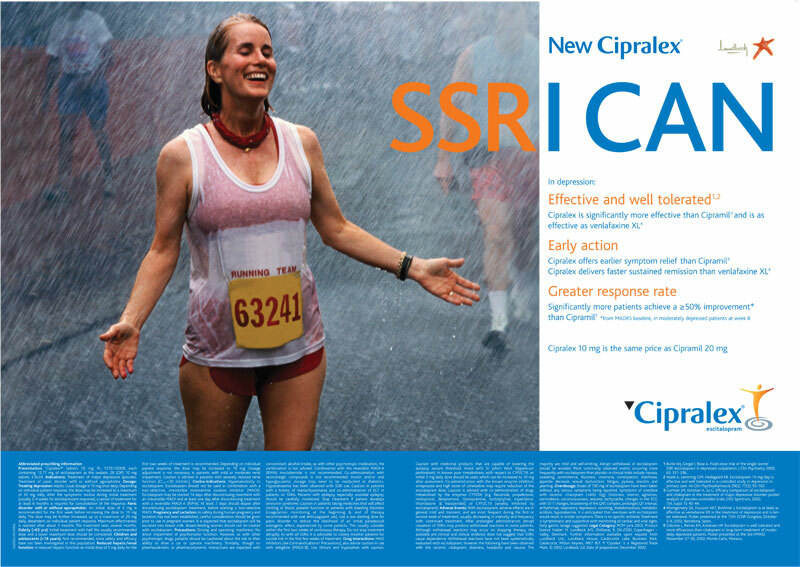 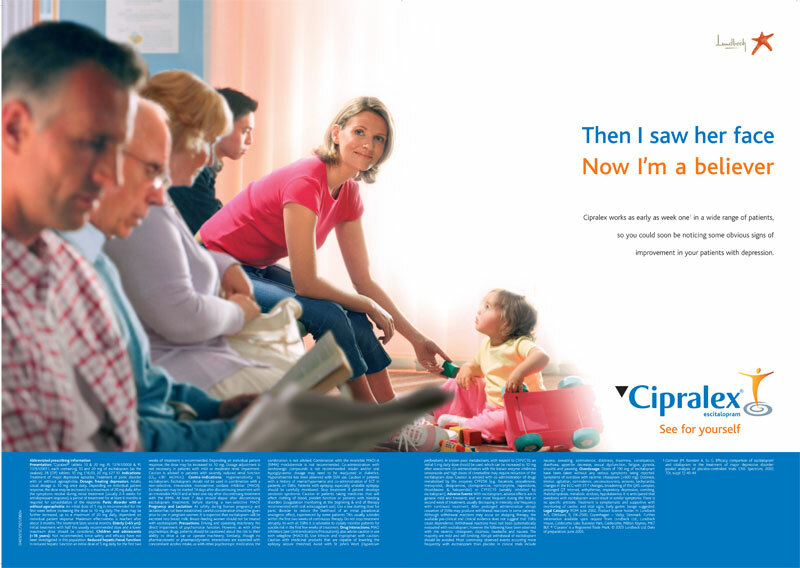 Cipralex’s launch success was independently recognised within the industry, receiving both the Communiqué Award 2003 for Launch of the Year and the Pharmaceutical Marketing Effectiveness Award 2003 for Product Launch of the Year. 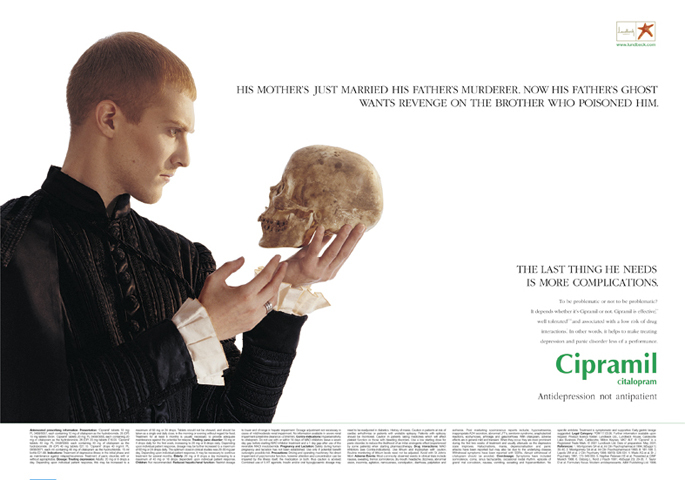 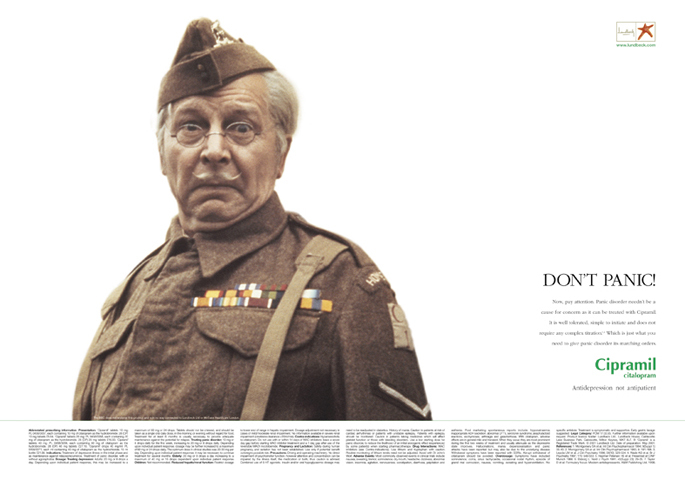 Awards for individual campaigns which Andy worked on as ‘client’ included, for Cipramil alone, seven PM Society Awards (two as category winners); four HAAG Awards (including gold); and two gold Rx Awards. 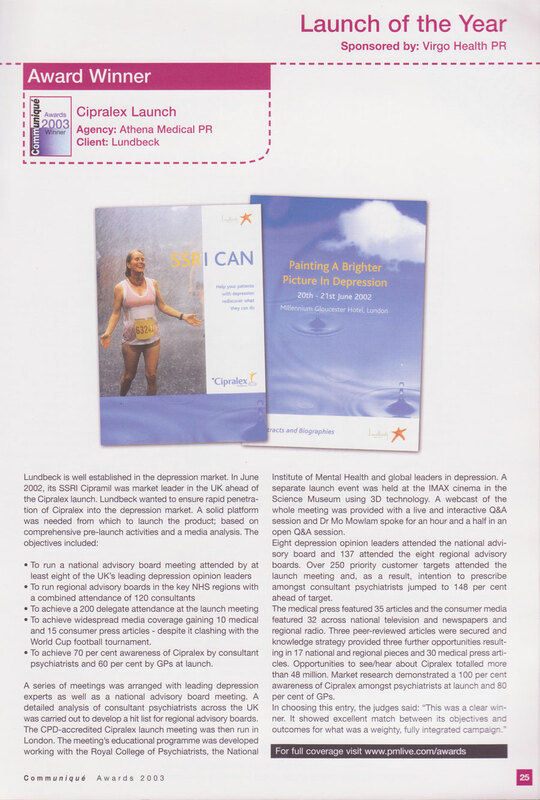 "The success of the Lundbeck psychiatry franchise was due in no small part to Andy’s relentless enthusiasm and drive for exceptional results."